Always Quality, Always Fresh...Always Delicious!!! Based in Edmonton, Alberta. Paulina’s Catering specializes in upscale, home-style cooking with a personalized touch. Paulina’s Catering was founded in 2002, and was inspired by her mother’s successful business, Theresa’s Catering. Many family heirloom recipes were handed down as well as a wealth of knowledge and the importance of caring for every single client and always adding the personal touch. Always Quality….hand picking the best ingredients available and purchasing local whenever possible. Always Fresh…we take the upmost care in ensuring salads are mixed up fresh and all hot entrees are steaming hot. 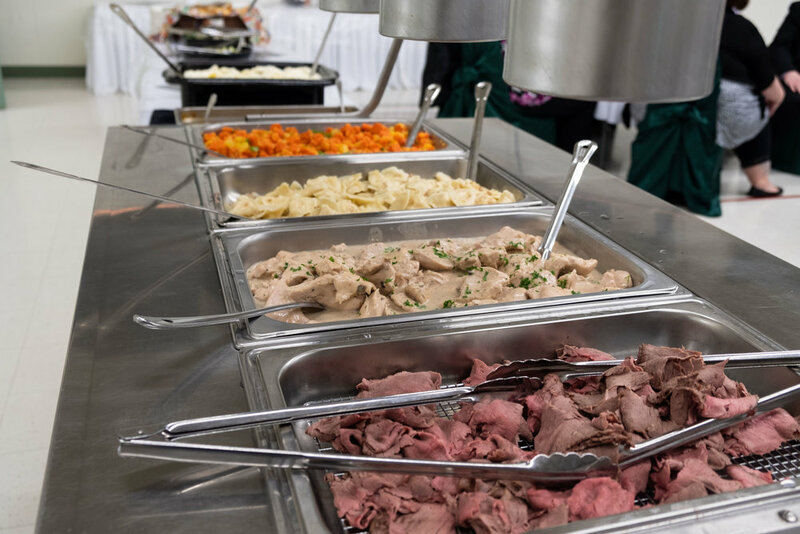 Most importantly the buffet is plentiful looking as well as visually appealing….you eat with your eyes first!! Always Delicious…We always strive to create a memorable dinner for you and your guests. We also take great care in providing exceptional service. I am blessed to have an amazing, caring team to take care of everything for you and your guests. I am personally onsite for every event. Our pricing always includes a full service team. We guarantee all guests are seated and enjoying their dinner within half an hour. 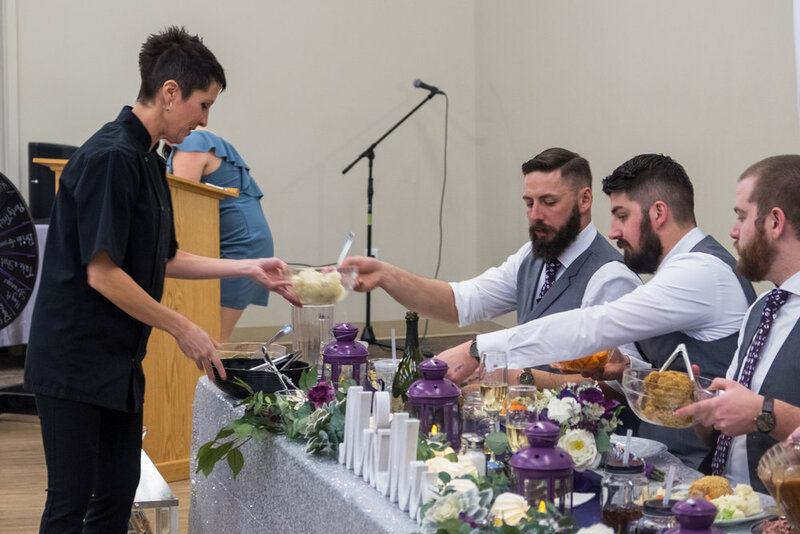 We serve the head table a family style service. This is followed by a prompt clean up of the buffet and guest tables. Paulina’s Catering…the best value for your catering dollar!! I would be pleased to meet with you for a free consultation to let you know all about what we have to offer and to customize the ultimate menu and service package. Please click on menu name to open a pdf version of the full menu. Quality franks and day fresh buns foil wrapped and ready to go!